Muhunthan Paramesvaran read Philosophy and English at the University of Sussex, and qualified as a solicitor at Wilson Solicitors LLP in 2003. Muhunthan was made a partner in 2010 and manages a team of solicitors, trainees and caseworkers. He is an accredited supervisor under the Law Society Immigration Law Advanced Accreditation scheme. 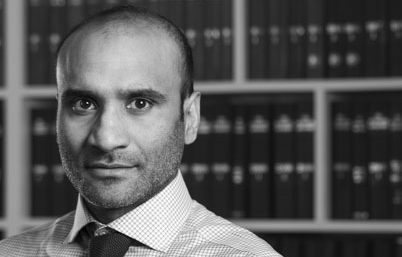 Muhunthan has a thriving private client base and deploys his thorough understanding of the immigration rules, regulations and Home Office policies to solve individual problems. He specialises in all aspects of asylum, immigration, nationality and human rights. He has extensive expertise in Judicial Review and Court of Appeal work. He has also been instructed by local authorities to advise them on immigration matters in respect of individuals under their care. In 2013 Muhunthan was elected to the Law Society Immigration Committee. In this role he works to shape and improve immigration and asylum law practice and procedure. This has led to active involvement in responding to government consultations on various aspects of immigration law and practice. He has also attended meetings with the Home Office, HMCTS and other stakeholders as part of his role. He assisted in drafting the Law Society Practice Notes on Judicial Review and Appeals.